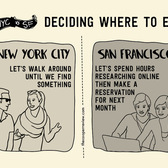 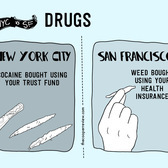 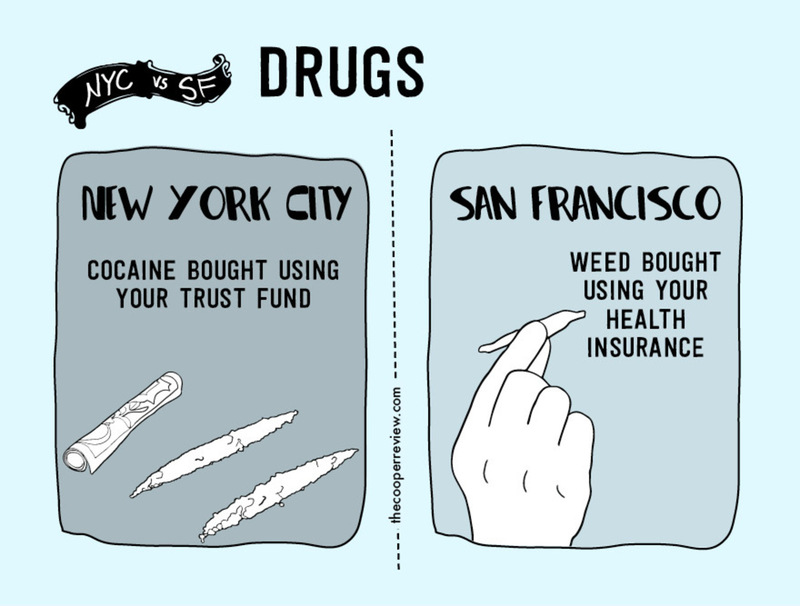 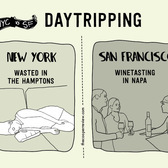 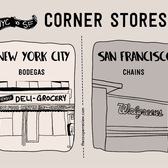 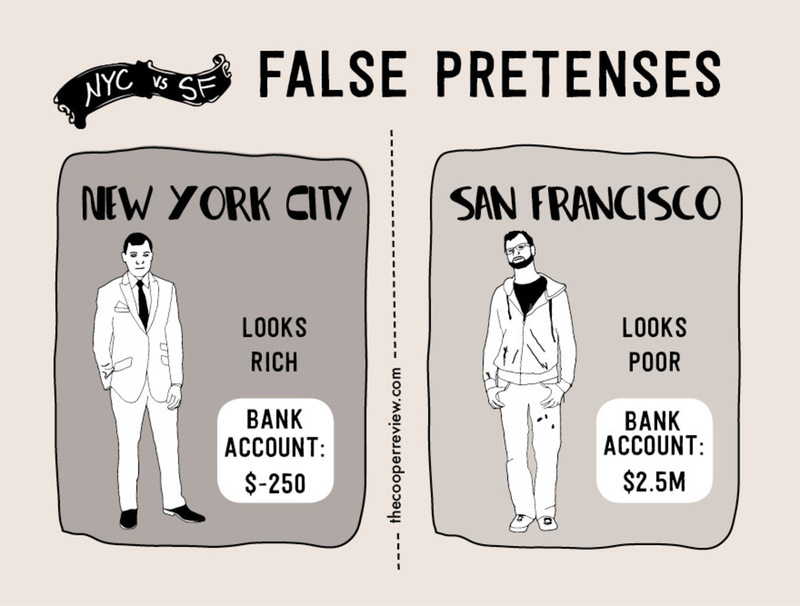 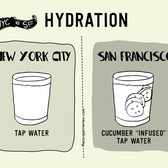 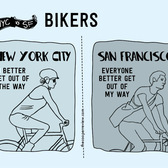 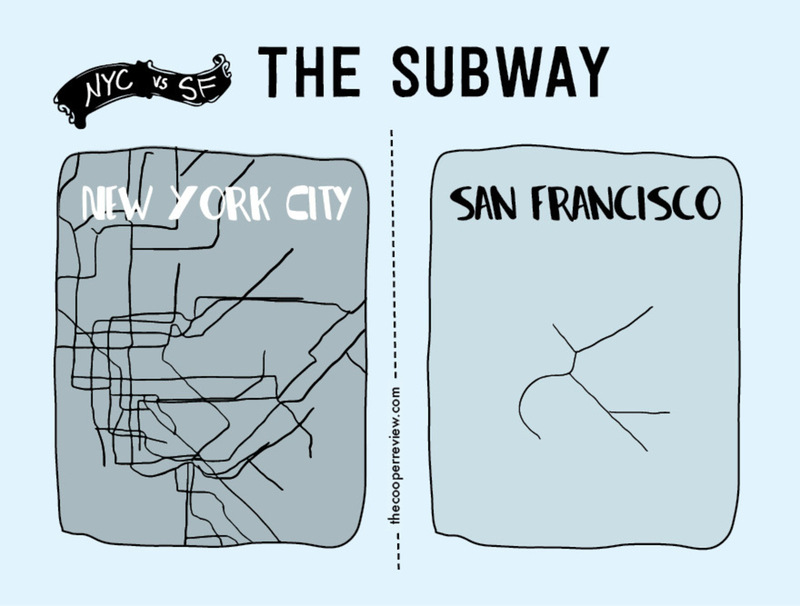 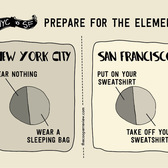 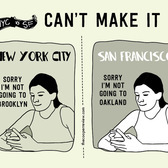 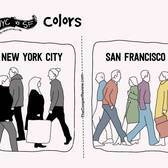 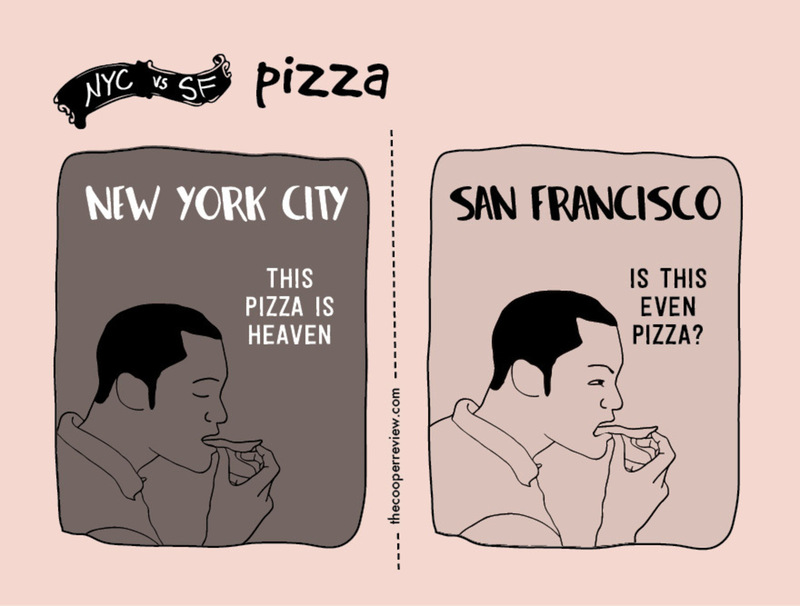 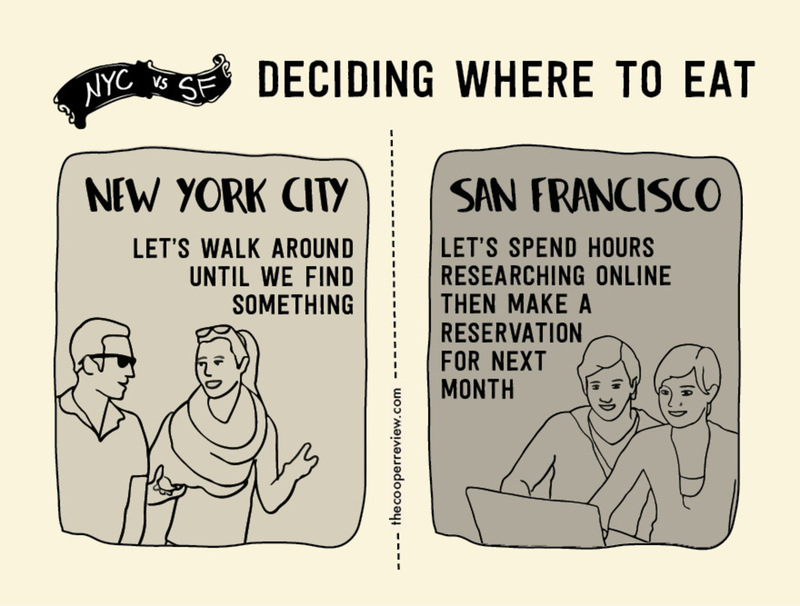 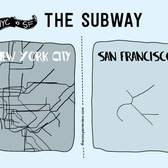 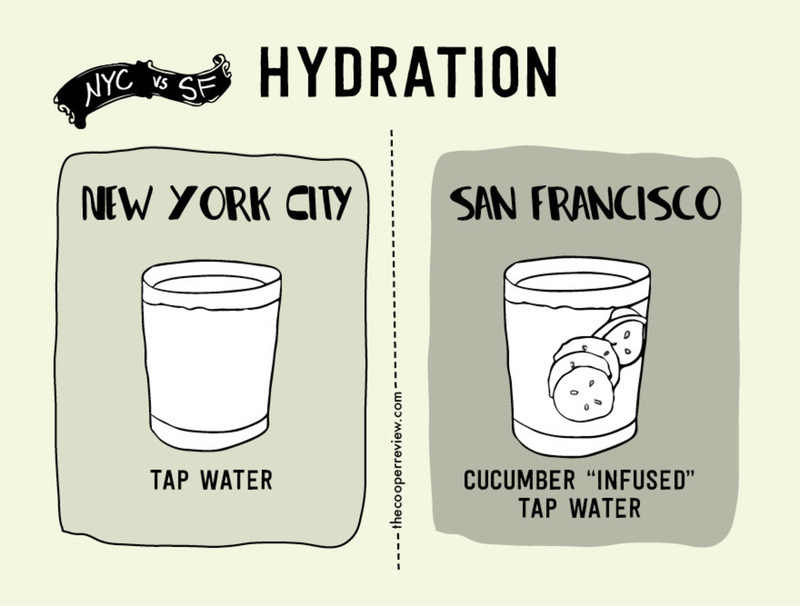 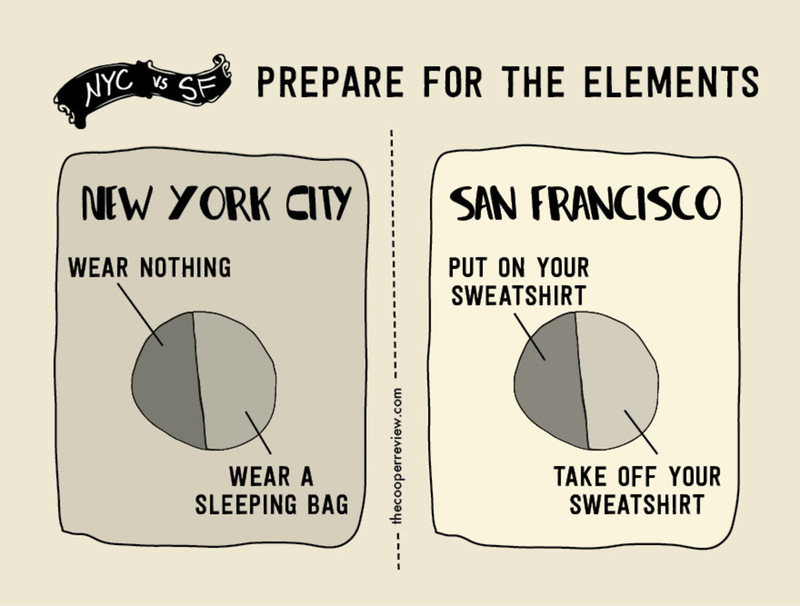 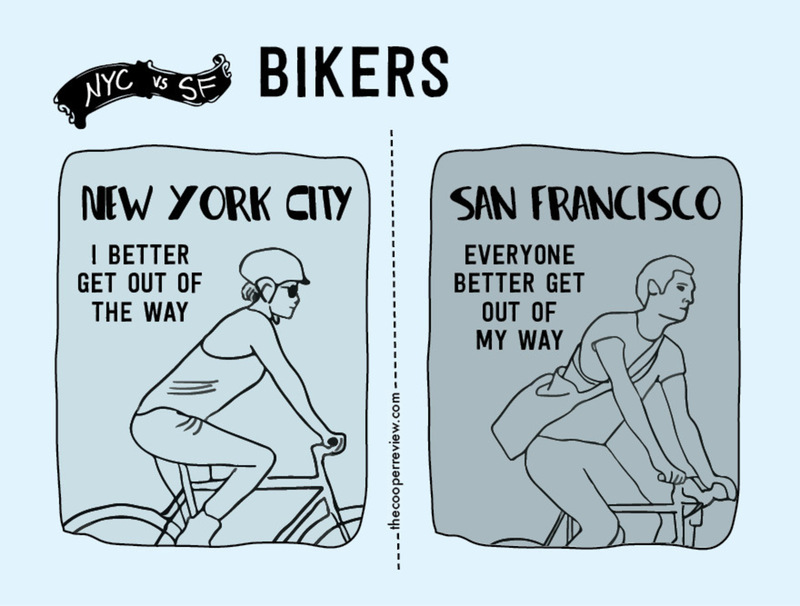 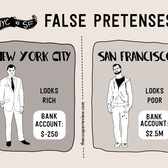 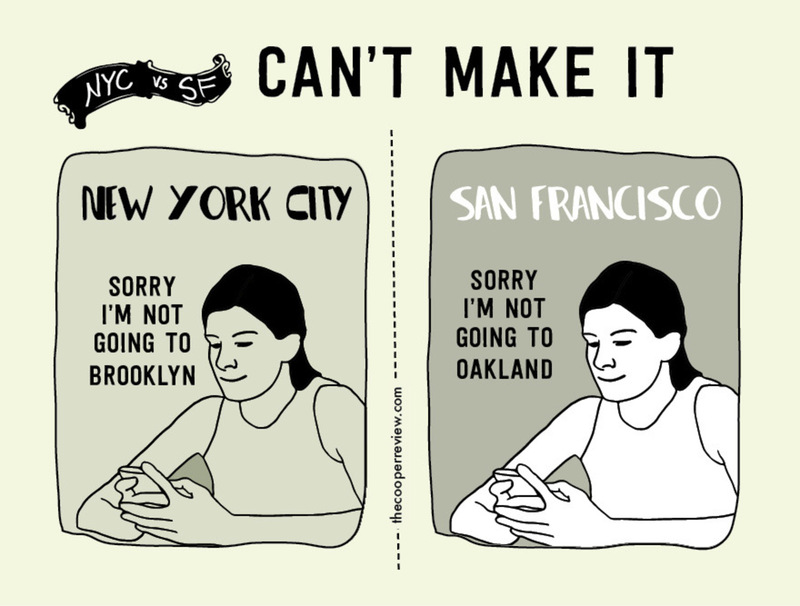 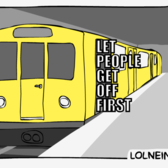 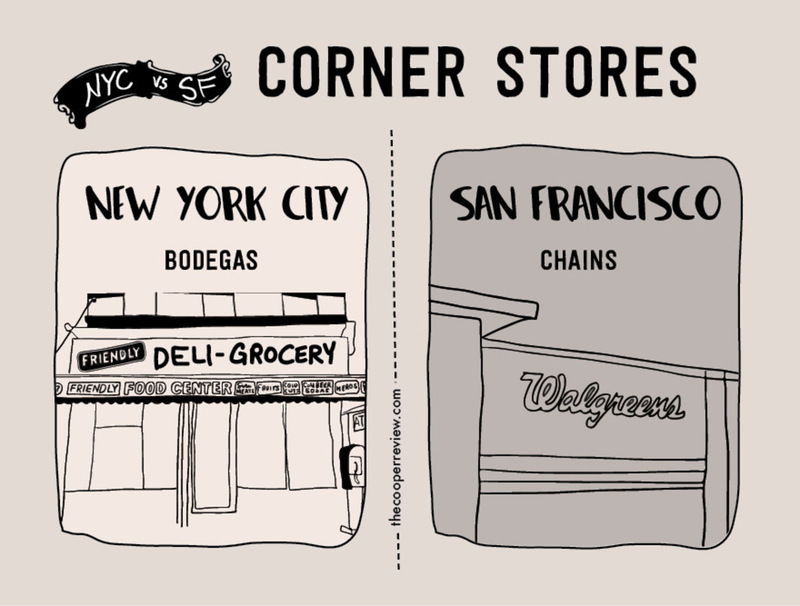 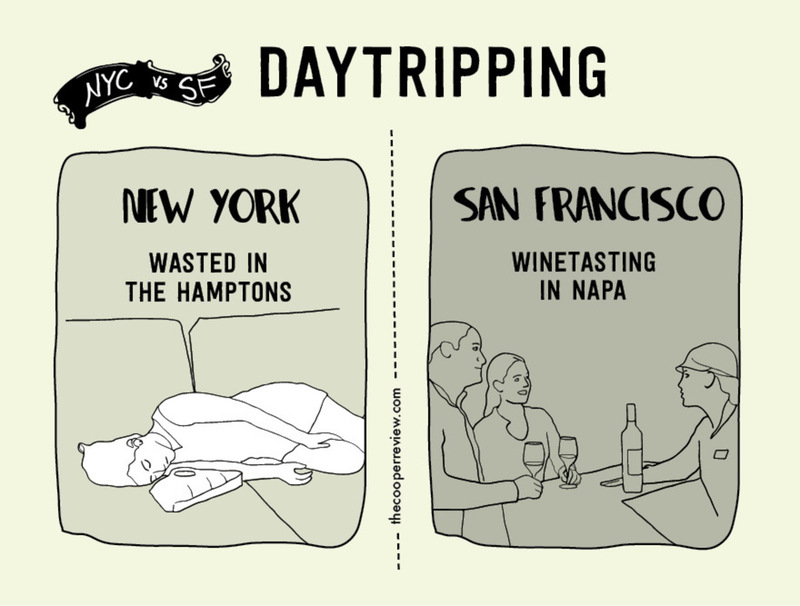 Multi-talented comedian and artist Sarah Cooper moved from New York City to San Francisco a few years back and created a series of humorous illustrated side-by-side comics comparing life in the two cities. 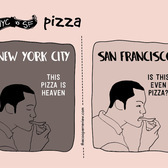 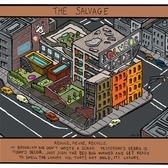 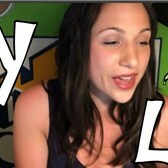 This is part 2 of the series, following up on the original set. 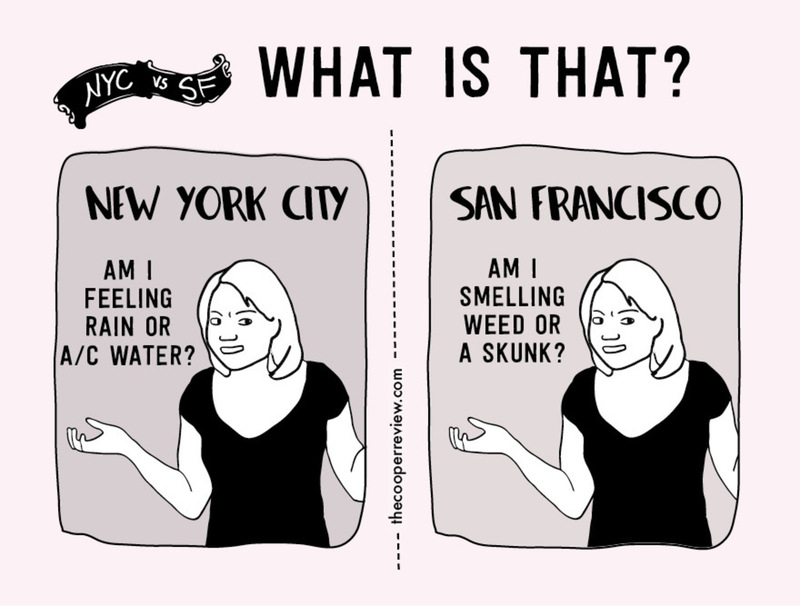 One year ago I moved from New York City to San Francisco and learned how very different these two cities are.